nSiteful Client Jay Maurice operates a music instruction business called Lessons In Your Home. At this writing, the business has over 200 active music teachers in eight major U.S. markets. Jay wanted to optimize his email marketing and pay-per-click advertising campaigns by having a customized landing page for each market and each instrument taught (35 as of this writing) — and each combination thereof. Clearly, I wasn’t about to create 323 physical Web pages. This had to be done programatically. But before I delve into the approach, let’s talk about “Pretty URLs” for a moment. Pretty URLs (also known as search-friendly URLs and user-friendly URLs) are Web-site addresses that consist of words and phrases that are meaningful to humans. Ugly URLs, on the other hand, typically include cryptic query strings — question marks, ampersands, equals signs, and esoteric numbers that bear no relation to the content of their pages. Ugly URLs are almost always associated with dynamically generated pages — pages that typically involve programming scripts and backend databases. The best way to explain the difference between Pretty and Ugly URLs is with examples. Most “Pretty URL” tutorials I’ve encountered on the Web focus narrowly on one — or, at best, just a few — of the many puzzle pieces required to convert Ugly URLs to Pretty URLs. The problem with such tutorials is that they’re like explaining how to parallel park by describing only how to use your directional signal. This tutorial is more of a case study than tutorial. It attempts to demonstrate how the various puzzle pieces fit together conceptually. The good news is that we already had nearly all of the building blocks in place! 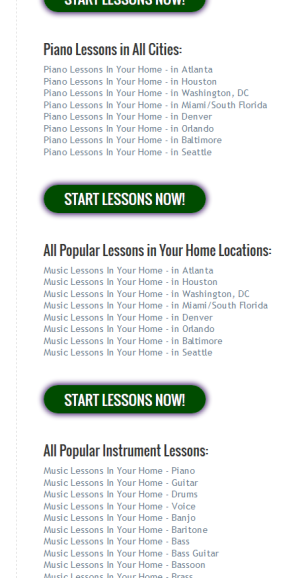 nSiteful has been working with Jay and Lessons In Your Home since September of 2010. Together we redesigned his original Web site. Insofar as a critical element of Jay’s public-facing site was to be a listing of instructors along with the cities they serve and the instruments they teach, we implemented a database-driven approach from the start (complete with turnkey CMS modules). We built database tables for Markets (“cities” table), Instruments (“subjects” table), and Instructors (“instructors” table) from the get-go. The only data pieces that were missing were images for the markets and instruments. Keep reading to find out how we solved that. Conceptually, here’s what we came up with. 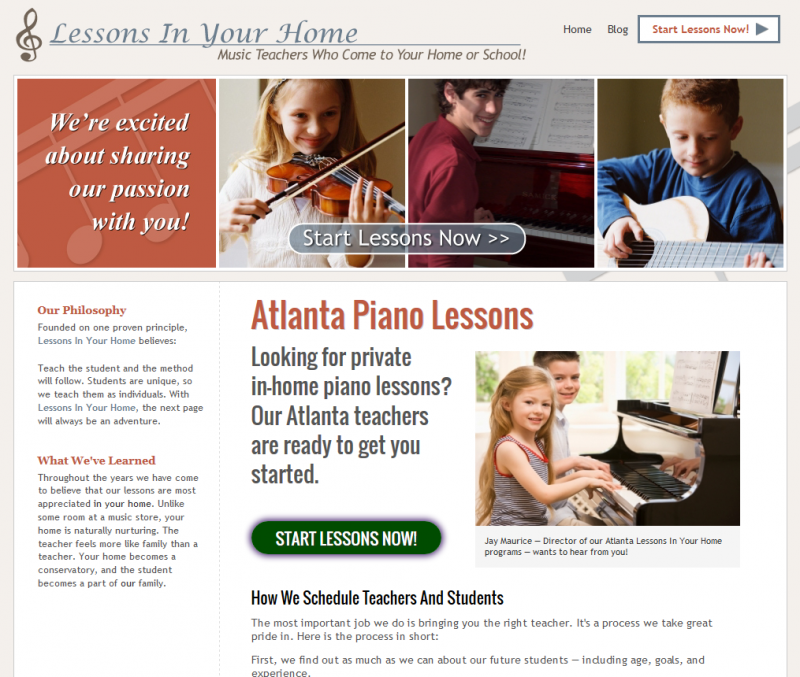 We would create a single physical PHP page (index.php) in a new directory called /lessons/. Based on the city and subject GET variables in the query string, custom php functions would pull appropriate data. Other custom php functions would “sanitize” and “prettify” the names of cities and instruments, for use in the Pretty URLs. For example “Miami/South Florida” would be converted to “miami-south-florida“; “Washington, DC” would be converted to “washington-dc“. Using conditional php statements, relevant text would appear in all the right places ̵ just like “mail-merge”, as Jay put it. To “prettify” the URLs, I’d add the relevant regular expressions code in the .htaccess file of the /lessons/ directory. Finally, to incorprate appropriate images, we came up with a simple solution that (a) minimized the need for me, the developer, to intervene and (b) precluded the need for a new CMS which would take time and cost (Jay) money. Namely, I created two new directories on the Web server, one of which is dedicated to storing and serving city images and the other of which is dedicated to storing and serving instrument images. Using another set of custom php functions, the page “knows” whether to display a corresponding image or the default image for any given landing page. In addition, using custom functions I created years ago — which utilize the GD Library, incorporated into most PHP installations — Jay didn’t even have to resize images before uploading. These functions do the resizing for him. Again, using some conditional php, we were able to include the pertinent listings. I understand this wasn’t a tutorial in the usual sense of the term. There were no code samples. No screencasts of me typing php code into Notepad ++. Not even a code snippet of the mod_rewrite stuff from my .htaccess file. My goal in this article was to describe the solution conceptually, in the context of all the pieces involved. In a future article — especially if anyone expresses interest — I may provide more granual tutorials on the pieces of the solution. Thanks for listening. Please feel free to post your comments and questions below. As the client that wanted the landing pages I can say I’m happy. We are just putting these “pretty url’s” to use so I hope to check in soon and tell you how well they are working. Looking forward to your report, Jay! Jeff – this is brilliant! The concept makes perfect sense. Is this something that you would create a WordPress plugin for, or is it still better to create it the way that you have? Another question: for a permanent page feature in WordPress, is it better to use a plugin or to strip the code from a plugin and drop it directly into the page? I am thinking about page loading speed – especially with mobile capabilities. It’s certainly a good idea to develop such a plugin for dynamically creating landing page, and one or more good ones may already be out there. Since the Lessons In Your Home Web site isn’t based on WordPress, developing the functionality as a plugin wasn’t a consideration for that project. Another question: for a permanent page feature in WordPress, is it better to use a plugin or to strip the code from a plugin and drop it directly into the page? I am thinking about page loading speed – especially with mobile capabilities. Excellent question. 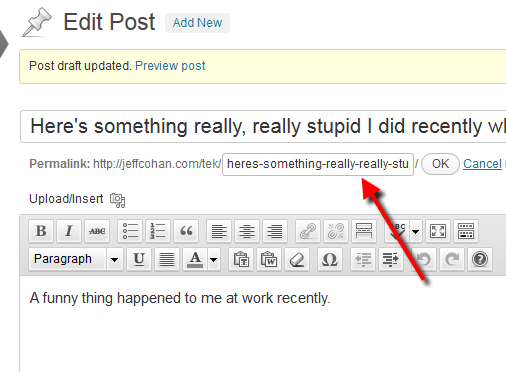 I’ve been working on an article whose working title is When a plugin isn’t the answer. 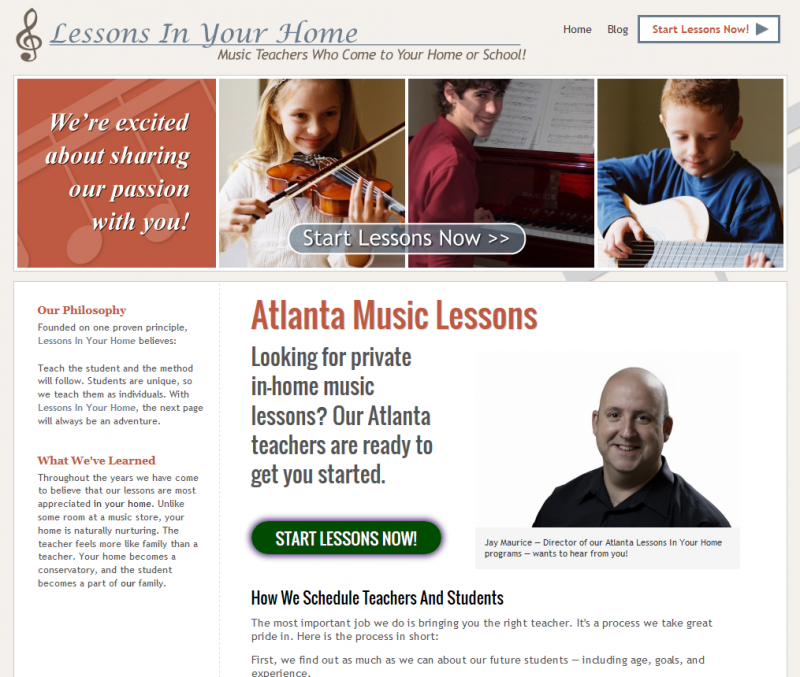 I just finished a project in collaboration with another WordPress developer that’s a case in point. She did the main Web site in WordPress; I created an application in PHP and MySQL that we “plugged into” the Web site, but natively, not as a plugin. For your specific case, here comes a classic techie answer: It depends — on the functionality and the plugin. Hey, we’re long overdue for a chat anyway, so ring me up some time and we can discuss!